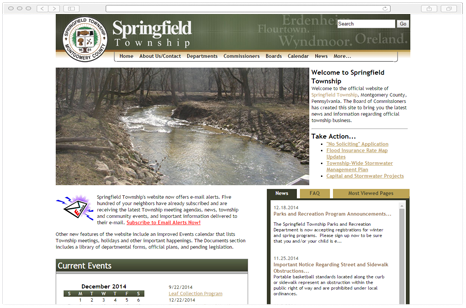 Springfield Township is a 6.16 square mile suburban community located along the Northwest border of the City of Philadelphia. 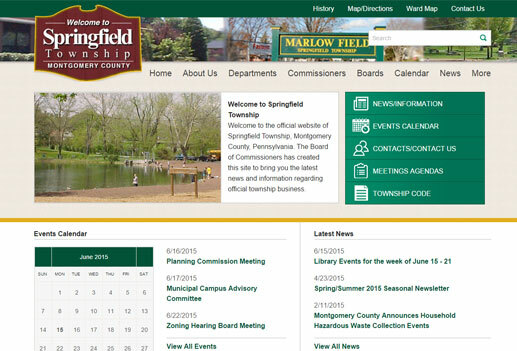 Springfield Township was looking for a mobile-friendly website with an updated look. 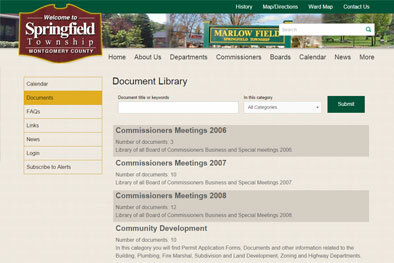 Recurring events, news and videos are an important part of their website content. 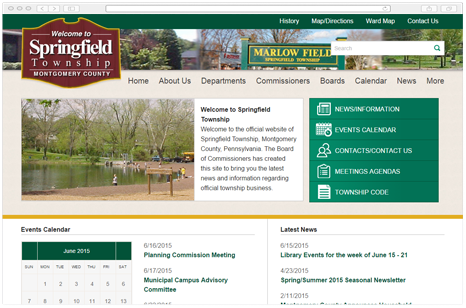 The new Springfield Township responsive website features an updated look that produces a user-friendly experience across all devices. 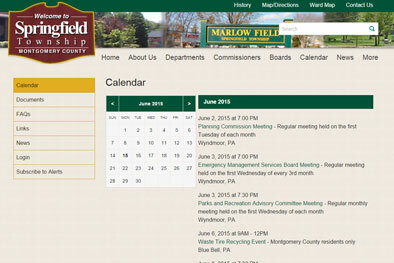 Their news and events sections are prominently featured on the homepage for quick access to township information.